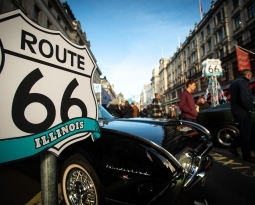 Last Saturday’s Illinois Route 66 Regent Street Motor Show has been confirmed as a record breaker – its magical and magnetising mix of motoring past and present drawing a huge crowd totalling more than half a million people for the third year in succession. Indeed, the 2018 attendance tops the record 524,382 set 12 months ago and thus endorses the event’s importance as the country’s favourite free-to-view car themed event. 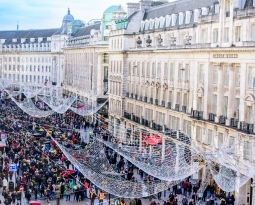 The unprecedented numbers taking advantage of the mild autumnal weather were not only treated to a mile of dazzling displays on central London’s famous thoroughfare – traffic-free for the occasion between Piccadilly and Oxford Circus – but also to some wonderfully engaging entertainment for all ages. Among the many crowd-pleasing highlights were some outstanding classic car collections. The busy Visit Illinois stand featured a number of iconic US muscle cars encapsulating the history of the legendary Route 66 ‘Mother Road’, the legendary trans-America highway which starts in the popular Mid-West state. Enthusiasts from the Jaguar Drivers’ Club and London & Thames Valley VW Club also provided visitors with special showcases of much-loved ‘Cats’ and ‘Beetles’ from bygone eras. Eager to exhibit their latest models to the Show’s immense and erudite audience, Renault and Triumph presented their state-of-the art electric cars and motorcycles respectively and the addition of Supercars plus championship-winning cars from the world of British Rally and British Touring Cars proved to be a hit. The newly introduced Kids Zone ensured there was plenty to entertain those of pre-driving ages too, providing something for the whole family to enjoy at the Show. As ever, though, it was the remarkable turn-out of pre-1905 horseless carriages taking part in the annual Veteran Car Concours d’Elegance that proved to be one of the memorable day’s main attractions. 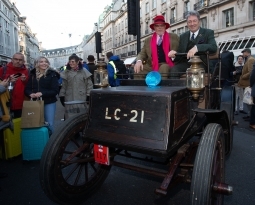 More than 100 of the extraordinary pioneering vehicles dating back to the dawn of motoring were vying for a number of coveted awards on the eve of the following day’s famous Bonhams London to Brighton Veteran Car Run, supported by Hiscox. A judging panel including veteran car experts and television presenters Edd China and Alan Titchmarsh adjudicated on seven of the categories with the final prize – The Spectators’ Choice Award – voted on by an online audience. 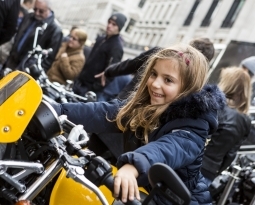 Adding a dash of celebrity to the awards ceremony staged on a special podium on Regent Street, all eight victors were presented with their trophies by classic car devotee Titchmarsh joined by a VIP from individual award sponsors. Emphasising the global eminence of the Veteran Car Concours d’Elegance, winners came from Australia, Italy and Sweden as well as the UK. The wide-range of embryonic technologies being explored by the early automotive innovators was also well illustrated with honours going to inventive electric and steam propelled vehicles in addition to those powered by early petrol engines. For the vehicle, drivers and passengers who were wearing appropriate period dress that, in the view of the judges, symbolises the veteran era. 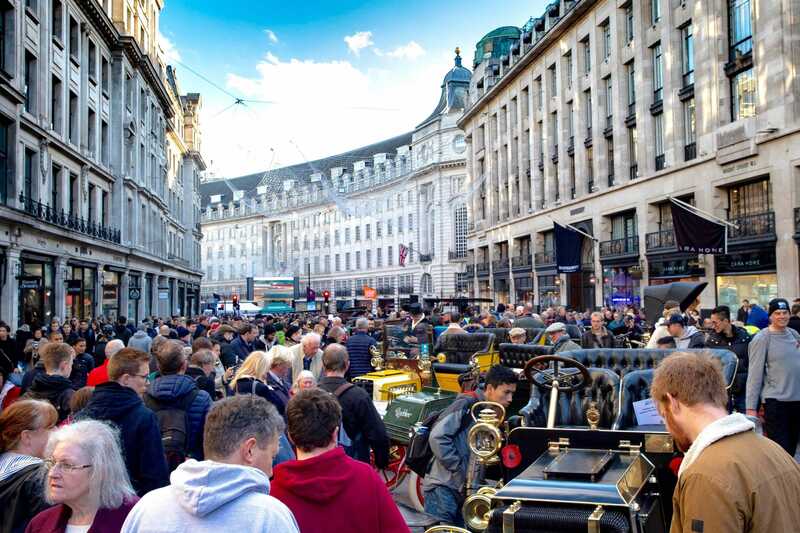 The Regent Street Motor Show is scheduled to make a return in 2019 on Saturday 2nd November.